Mumbai Dabbawalas have achieved the impossible and that is Six sigma rating. 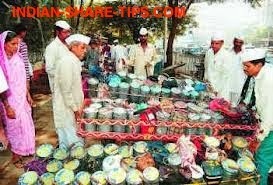 Have a look at a remarkable dabbawala video which takes you through all the management lessons which can be learnt from Mumbai Dabbawallas. We salute them for their remarkable service. The presentation is by Dr Pawan Agarwal who has done a PHD on Mumbai dabbawallas. This is a must watch video and you must not miss out on not watching it. To be honest we enjoyed watching the video as Dr Pawan Agarwal has delivered the speech in a way which connects with every Indian.